Supports various accessories for parallax shot, motorized system and flywheel. Thicker rail and 3 big bearings support heavier payload for big camera system. Multiple 1/4" and 3/8" screw holes on both ends and middle for various mounting options. Two chrome coated shafts in the rail for rust protection and make slider more smooth with 3 big roller bearings. 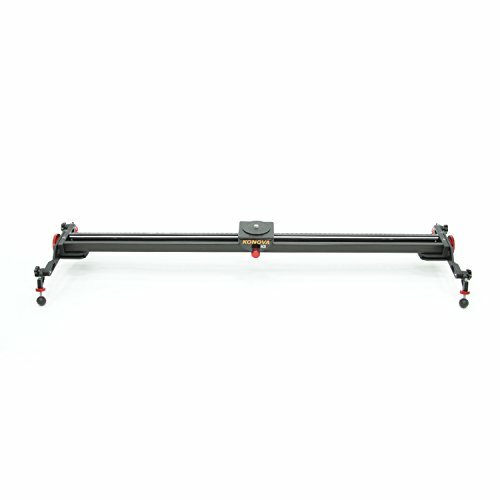 Removable and foldable legs allow the slider to be put in an included carrier for portability.